This game was created as my final third year game in my Computer Game Arts degree. 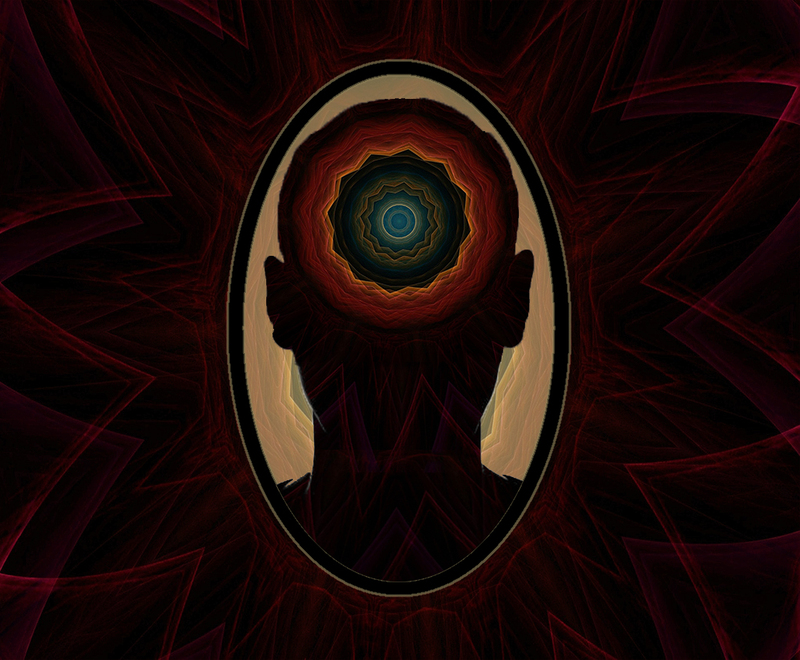 Below is my personal reflective journal relaying the journey from conception to development. This game is in no way perfect but I am proud of what we had managed to achieve in less than a year and I'm excited to use the skills that I have learnt through this process in new projects! I took the role of game designer, working alongside Tiffany Derbyshire, the environment designer, and Tabitha Beresford-Owen, the character designer. As game designer I was entrusted to concept a game idea under the theme of ‘horror’, which we are all fond of. For this I researched into the most effective ways of achieving genuine fear from a majority audience, reading theories from renowned horror and suspense artists such as Stephen King, Alfred Hitchcock and H.P. Lovecraft. One thing that resonated between them was the notion of ‘uncanny valley’; making the viewer feel as though they can relate to something, but subtly making changes to constantly keep them feeling uneasy. 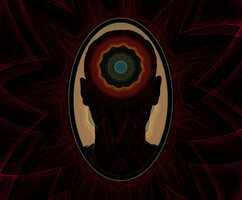 The fear becomes more psychological. 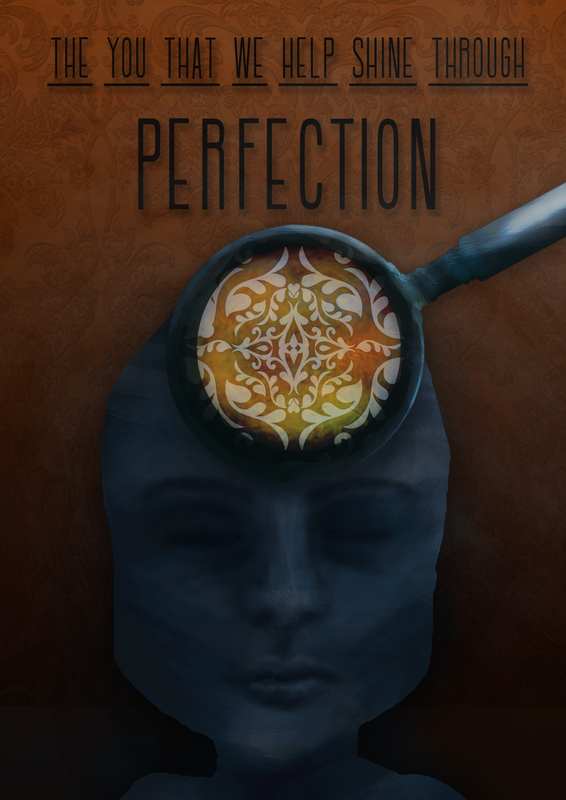 With this in mind, Perfection is a first person psychological horror game that is personalised based on the player's interactions, manipulating the experience by how the player interacts with the game. The intent was to tap into mankind’s shared fears of personal imperfections and inadequacy by theming it around a concept of a machine that could turn humans ‘Perfect’. 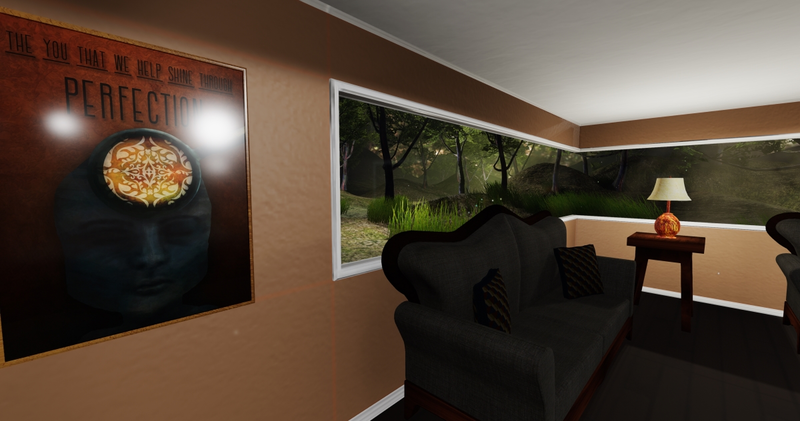 To make them feel more immersed in the game the plan was to make use of the facebook SDK for Unity and subtly insert their personal information into the game, such as using their profile picture as a material to be used in photo frames or displaying their facebook friends name on a door. Ultimately our intent was to make an experience that would linger with the player beyond mere jump scares within the game. The atmosphere of this game is inspired by iconic psychological horror games, most notably Silent Hill 2. This game inspired me by how subtle it was able to judge the outcome of the game based on the players actions. Many players were unaware there were multiple endings because of this, as it all changed based on small details. This approach means players won’t overthink their actions, in theory, acting genuine and leaving them vulnerable and off guard to a game using these actions against them in future gameplay. Silent Hill, as well as others around the time of the same genre, used a realistic artstyle to immerse the player with a more ‘familiar’ setting. 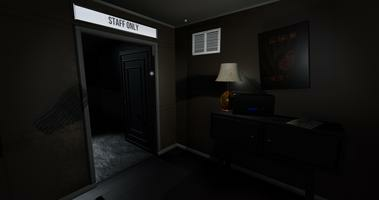 We used a mixture of this and an art style similar to that of Bioshock and The Shining. We felt this post modern look would fit the theme well for the narrative. 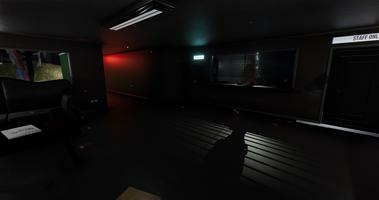 The mood board consisted of deep reds and oranges which could be used both to create a warm atmosphere or a dangerous one which was perfect for the intent of our two-toned game because once the player had interacted with the headset the environment would slowly disintegrate around them, desaturating and becoming darker with more prominent shadows, much like Silent Hill. I fleshed out the concept of a postmodern company selling the false perception of perfection by creating a company name (NeverBetter), logo and advertisements. I didn’t want the main advertisement to be gender specific, as I was trying to stay inclusive of a wide audience, so I focused mainly on a kaleidoscope that represents the ‘perfection within’ and this became a running theme throughout the artstyle of the game. The monster was to stand out from the rest of the game, taking inspiration from games like Alice: Madness Returns, which has a more surreal and cartoonish feel. This was to fulfill our vision of fitting in with an ‘uncanny valley’ theme. Having a monster that doesn’t quite look like it belongs where it is would hopefully put players at even more unease. 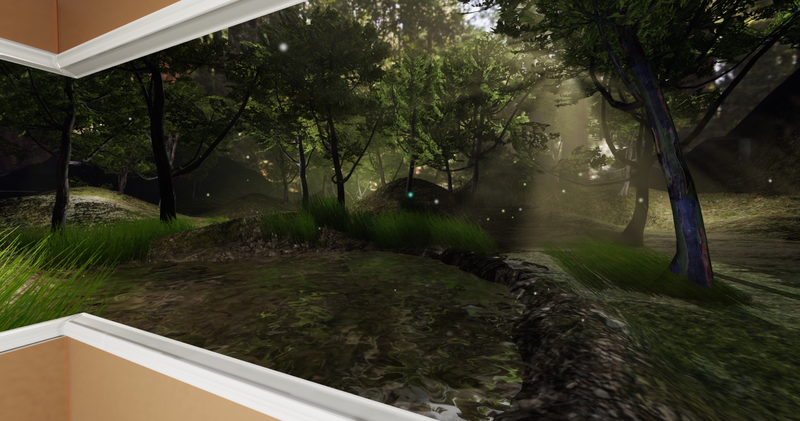 The overall theme should make the players feel at ease in the beginning of the game, with a clean post-modern feel, lulling them into a false sense of security until reaching the point of the game where the scenery changes dramatically and unexpectedly, catching them off guard and making them retrace their steps to witness the degrading of the environment around them, making them feel more uncomfortable as this environment was already familiar to them before it changed. I started researching into the facebook SDK early because I had never used it before so therefore could potentially be a challenge. I had to set myself up as a web developer and read through the documentations, understanding how to implement and host a facebook game through their own server. I managed to get this working, pulling in my relevant information from facebook (profile picture, friend name, etc) and running on the facebook gameroom app in developer mode. However, this time ended up being wasted when facebook changed their policies and were no longer allowing new apps to be reviewed or hosted. After this my focus then shifted to understanding best practises of creating a game for PC with Unity3D. I had previously made a mobile game so it was nice to be able to use more assets such as the aura volumetric lighting asset that created dense mist and to be given the freedom to try out more system heavy code. This meant that I didn’t have to worry about storing as much data as I needed in the back-end of the game to manipulate the front-end. Psychological horror games, especially ones without any direct enemy contact, rely heavily on audio to build up tension. Because of this I reached out to audio producer Jaime Aldous at HoriZen Productions and he agreed to create the main audio pieces. This would give the game more familiarity as Jaime would then go on to be the main voice within the game, adding to the calmness at the beginning of the game by becoming a companion figure. In keeping to industry standards I created a spreadsheet from the beginning detailing deadlines and what we needed to complete to hit them. I set up a google drive to store all of my team's work and for us to collaborate safely and effectively. This helped greatly when getting external people involved, such as Jaime and Nina Sayuri who created a couple images for us, as they could easily view our game documents and relevant concepts to ensure that they shared our vision. Through Trello and a google calendar tab I kept on top of our tasks, setting us individual deadlines and meeting dates so that we stayed on top of the workload. I also kept previous builds, often making copies of my game and storing it multiple places (my PC and external hard drive) to stay safe from technical faults throughout the developing process. I created multiple moodboards, a detailed storyboard and a script detailing event triggers to help get across my concept and vision for the game to the rest of the team. When facebook changed their policies I created a new storyboard, changing the narrative slightly but so as to not lose sight of the initial game intent. I instead asked each player to input information about themselves that I would have otherwise gotten from their facebook profile, such as their name and gender, as well as adding some influence from Until Dawn and asking them to choose a photo that makes them feel uneasy. This decision then manipulated the game to show picture frames of a certain nature through the winding corridors on the way to and from the headset, adding to the sense of unease and claustrophobia. At the end of the game these decisions, as well as their actions throughout the game would be relayed back to them in a form of a patient file so they could ‘learn more about themselves’. The most challenging part was the fact that most things had to be accounted for multiple times. Upon peer feedback we were told to make the environmental change more gradual, which we agreed with, however this meant some items had 3 seperate materials that had to be switched during runtime. As well as this audio had to be doubled up on items such as the hallway speakers and the monster and I had to ensure to check that everything happening in the game was in line with the way that the player had interacted with their environment. I did this by creating a script specifically for holding the back-end data. I used public booleans for data such as if the player chose male or female, if the player is going through the corridor the second or third time, if the player has put the headset on, etc. I also kept a public string in the same script to access their name whenever I needed to and update the text in runtime. I also had to iterate through dozens of materials twice looking for the next material in that gameobjects array and change it to the next appropriate material. 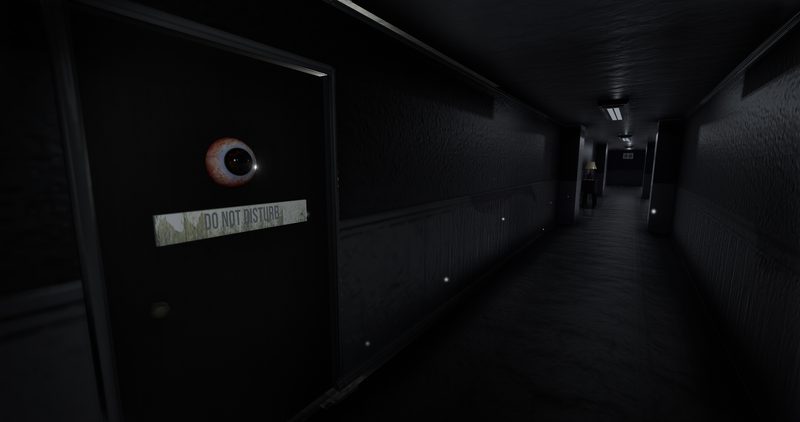 For audio I wanted to make it as realistic as possible so I have made the monster and doors randomly choose an audio source from an Not only did this take up time for writing extra code for different versions of the game I also found that my game lagged considerably. To fix this I made sure to instantiate mose prefabs, especially the high polly ones and destroy them again when they're not used as well as to turn on occlusion culling to only render what is in front of the camera. I needed to use mainly realtime lights because of how the environment would change during runtime however I was having trouble making my point and spotlights produce shadows after I built. I eventually found that my pixel light count was too low and unable to render my lights so I bumped it up to 20 and turned all lights producing dramatic shadows to an important rendering path. Overall I feel like, even though our initial idea had to deviate because of unforeseen circumstances, the fact that we had fleshed out the concept so well with storyboards, scripts and other concepts, we were able to work around this quickly and stay within our original intentions. The game might not be personal by using facebook but I managed to integrate real peoples opinion of imperfections into the game by reaching out online and these have been included as examinable items in the game.